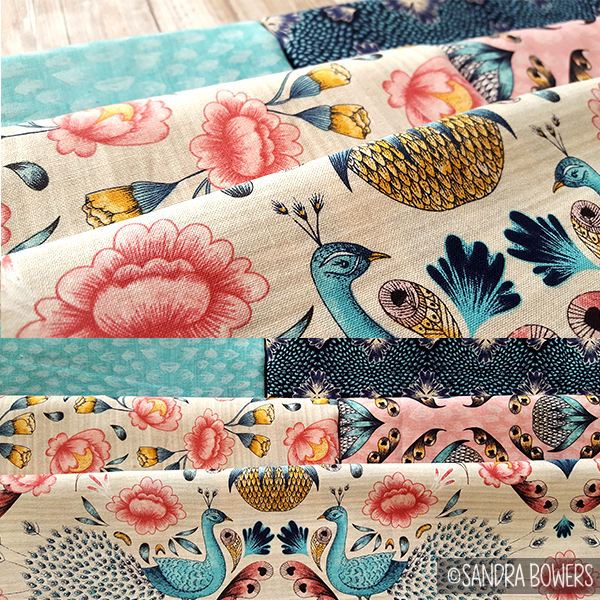 Regal Peacocks Fabric collection - in stores now! Peacocks are one of the most amazing things in nature. When I was growing up, our neighbour in the farm had a bunch of them and they would come over to stare at themselves endlessly on the glass doors. In the Regal Peacocks Collection designed for Spotlight Stores, I tried to capture their exuberant beauty and pair it with some pinks, my favourite color. So here they are, I hope you enjoy them! Click on the image below to buy online. 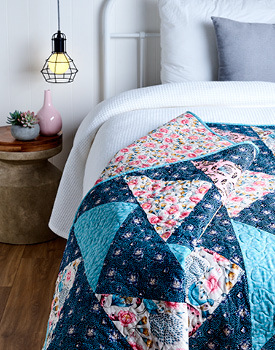 Look at the gorgeous quilt that Spotlight has created with these fabrics!